JYL MARIE is Senior Instructor of Prajna Yoga and a practitioner of Visionary Craniosacral Therapy & Visceral Manipulation. Currently dividing her time between the United States and Peru, Jyl leads workshops and ceremonies around the world. She brings an interdisciplinary approach to her teaching, combining alignment & flow with therapeutic somatic movement in the classes, workshops, retreats and 200 Hour Teacher Trainings that she leads. Jyl is passionate about using plants and food as medicine. 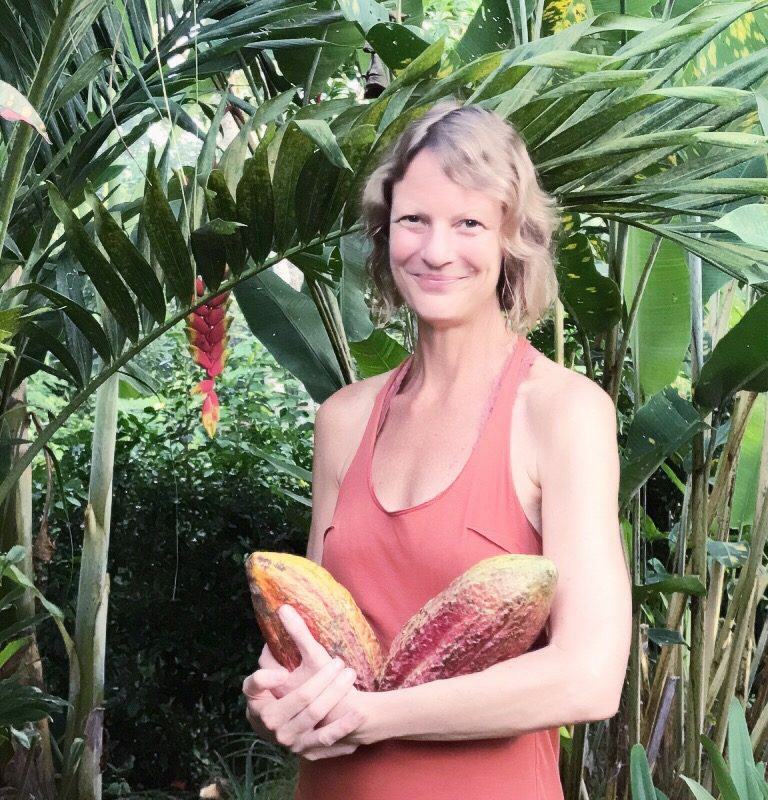 As an extension to Yoga, her exploration of cacao as plant medicine has turned a lifetime chocolate obsession into a profound part of her life’s journey. She leads Sacred Cacao Ceremonies and The Yoga of Chocolate Workshops and Retreats world-wide.